Social Anxiety Disorder (SAD) is a specific type of anxiety disorder that most affects people during social interactions, in anticipation of social interactions, or while reflecting on social interactions. SAD appears to have a variety of causes, both environmental and genetic/biological, and affects people with the disorder in a variety of immediate and long-term ways. This article will cover what SAD is, how it arises, and how it affects people. 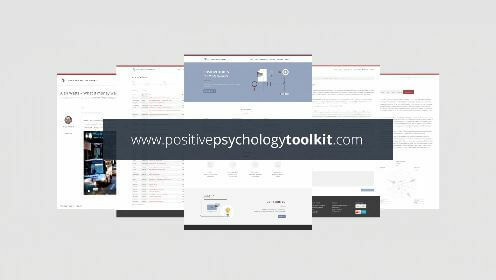 It will also cover books and quotes dealing with SAD, ways one can test themselves for SAD, and finally, how SAD relates to positive psychology. What Is It Like to Have Social Anxiety? Social Anxiety Disorder, also referred to as Social Phobia (SP), is an anxiety disorder that is based around an “overwhelming concern about being judged negatively by others when in a social situation” (Byrow & Peters, 2017). People with SAD “display a persistent concern about how they are perceived by others and typically fear acting in ways that they believe may lead to negative evaluation” (Ng & Abbott, 2016). In other words, people with SAD most often experience anxiety when they fear they are being (or will be) judged by others. SAD differs from generalized anxiety disorder (GAD) because “in generalized anxiety disorder, anxiety has a broad focus and is not predominantly related to a fear of negative social evaluation” (Leichsenring & Leweke, 2017). Similarly, SAD differs from panic disorder because “those with social anxiety disorder have panic attacks only when they have a fear of being negatively evaluated by others”. For our purposes, we can think of SAD as an anxiety disorder based around anxiety in social situations, specifically. SAD appears to have environmental as well as genetic and biological causes (Spence & Rapee, 2016). For example, on the environmental side, one study examined the role of early traumatic experiences in the development of SAD (Norton & Abbott, 2017). The authors found that social trauma played a bigger role in the expression of SAD symptoms than emotional, physical, sexual, or other types of trauma, “suggesting that social victimization may be the most proximal risk factor in the development of social anxiety symptoms”. As for the genetic/biological side, it appears that SAD can also be caused by traumatic brain injury (TBI). For example, take the case study of a non-anxious 17-year-old who suffered TBI, and within a year started exhibiting symptoms of anxiety (Chaves et al., 2012). This patient was eventually diagnosed with SAD at 21. After a brain scan showed that a tumor was affecting his frontal lobe, the patient underwent neurosurgery to remove the tumor. Within about a year, the patient’s SAD symptoms went away. The fact that the patient’s symptoms disappeared indicates that the tumor may have been a cause of SAD rather than simply a coincidence. Some models of SAD propose that a major cause of anxiety symptoms in social situations comes from “emotional hyperreactivity” and “a failure in emotional regulation” (Goldin et al., 2009). Specifically, these models suggest that emotional hyperreactivity can cause people with SAD to overreact to perceived social slights, and a failure in emotional regulation can cause people with SAD to experience more stress and anxiety in social situations than healthy controls would. To be clear, these are components of SAD and may not necessarily be precursors to or root causes of SAD, but are neural bases which may help explain how people develop SAD. Finally, women and girls are more likely to have SAD than men and boys (Asher et al., 2017). This could possibly be caused by genetic differences between men and women, or by environmental differences in how women and girls are treated compared to men and boys, or some combination of the two. This gender difference in the epidemiology of SAD illuminates the fact that SAD has both genetic/biological and environmental bases. 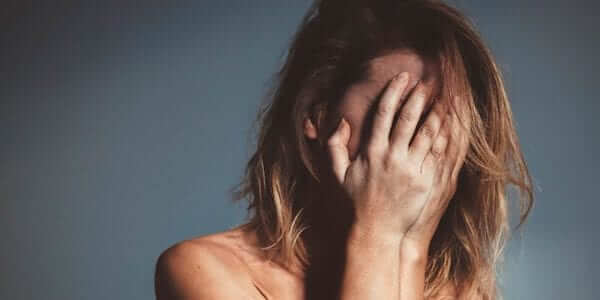 People with SAD exhibit physiological arousal, such as blushing and sweating, when faced with social situations where they fear they will be negatively evaluated (Rapee & Heimberg, 1997). Those with SAD also fear eye contact and avoid eye contact more than healthy controls (Schneier et al., 2011). People with SAD are likely to have more intense and frequent paranoid thoughts than people without SAD (Pisano et al., 2016). Children with SAD seem to have more social difficulty than children with GAD, and as a result are rated to be less likeable than children with GAD in laboratory tests (Scharfstein & Beidel, 2015). These are some of the immediate symptoms that people with SAD experience in the face of social situations. As for the more long-term effects of the disorder, SAD has been shown to be correlated with lower levels of self-esteem, as well as higher levels of dependency and self-criticism (Iancu et al., 2015). SAD also leads to a worse quality of life for people with SAD than the general population (Simon et al., 2002). People with SAD appear to experience more feelings of shame (but not guilt) than healthy controls (Hedman et al., 2013). Interestingly, SAD can even lead to hoarding, such as the case of a man with SAD whose “severe hoarding of books and magazines was linked to the specific fear of looking uneducated for not being able to lead a conversation with unfamiliar people in different topics” (Vigne et al., 2013). Finally, SAD is also associated with a few comorbid disorders, such as other anxiety disorders, depression, and substance use (Spence & Rapee, 2016). 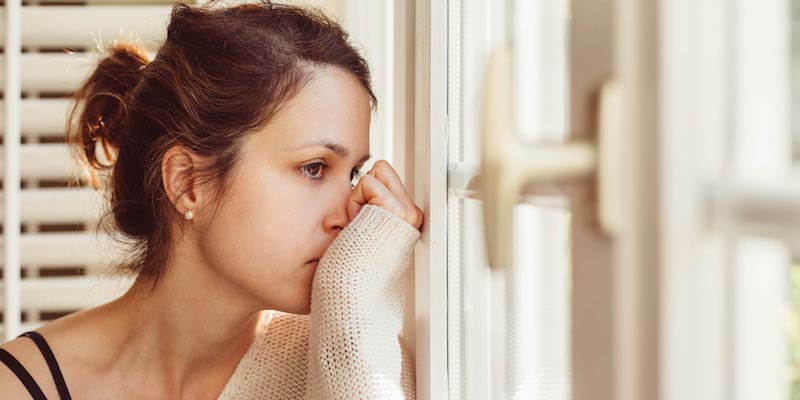 While SAD is best diagnosed by a professional clinician, here are three ways to preliminarily test oneself for SAD without having to schedule any sort of appointment. This is the self-report version of the LSAS, and the LSAS and LSAS-SR are currently the most common tests used to diagnose SAD. The SPIN is another way to clinically diagnose SAD, though it does not appear to be used as often as the LSAS and LSAS-SR. This appears to be a non-clinical adaptation of other SAD tests, but the Social Anxiety Institute is run by Thomas Richards (an expert in the field of SAD), so it should still be a useful self-diagnostic tool. There are many effective treatments for SAD, both therapy-based and pharmacologically-based. A meta-analysis of cognitive behavioral therapy (CBT) for children and adolescents with SAD found that CBT is an effective way to treat SAD (Sciani et al., 2016). This meta-analysis also found that CBT programs which included social skills training were particularly effective. Internet-delivered cognitive behavioral therapy (ICBT) combined with a selective serotonin reuptake inhibitor (SSRI), escilatopram, was found to be more effective in reducing anxiety symptoms than ICBT alone (Gingnell et al., 2016). Escilatopram alone has also been shown to be an effective treatment for SAD (Baldwin et al., 2016). Taken together, these studies indicate that CBT is an effective treatment for SAD, and that its effectiveness can be enhanced when paired with specific social skills training or an SSRI. One study looked at the effect of internet-delivered acceptance-based CBT both with and without therapist support (which consisted of a weekly videoconference and text messages) (Gershkovich et al., 2017). Of those who completed the treatment program, there were no significant differences, but the participants who received therapist support were more likely to complete the program. This indicates that having therapist support can help someone complete the program, but also that someone who completes the program on their own will still benefit in the same ways as if they had had a therapist. In other words, self-delivered CBT is feasible. A virtual reality exposure therapy (VRET) has also been shown to reduce anxiety levels and increase social skills (Kim et al., 2017). This treatment was delivered through a mobile phone and virtual reality headset setup, and was self-completed. While VRET has been found to be effective when compared to waitlist, one study has found it to be less effective than individual in vivo exposure therapy (iVET), indicating that non-virtual exposure therapy may still be more effective for treating SAD (Kampmann et al., 2016). While further research is needed, this indicates that virtual reality exposure therapy could potentially be another self-delivered treatment option for SAD. Mindfulness-based stress reduction (MBSR) has also been shown to be effective for treating SAD. Specifically, one study examining the effect of MBSR on participants with SAD found that MBSR not only reduced participants’ anxiety symptoms, but also increased their levels of self-compassion and self-esteem (Hjeltnes et al., 2017). This study only consisted of young adults attending college, but shows the potential of MBSR and other mindfulness-based approaches as treatments for SAD. For people who prefer to learn from books, here are some books about SAD. One is aimed at children, one is aimed at teenagers, and the rest are aimed at anyone suffering with SAD. All of these books, though, should help people with SAD learn more about their disorder and how to deal with it. Clark, D.A., Beck, A.T. (2011). The Anxiety and Worry Workbook: The Cognitive Behavioral Solution. New York: The Guilford Press. This book, partially written by Dr. Aaron T. Beck (an influential figure in CBT), aims to help people use CBT to overcome their anxiety. The book includes worksheets, exercises, and activities to help you understand your anxiety, so you can start managing it. It is nonspecific to social anxiety, as it can also be used for GAD, panic disorder, and other anxiety disorders, but the lessons within will still very much benefit people with SAD. It is also worth noting that despite being a workbook this book is not aimed towards children, and is aimed at anyone struggling with anxiety. Fleming, J.E., Kocovski, N.L. (2013). The Mindfulness and Acceptance Workbook for Social Anxiety and Shyness: Using Acceptance and Commitment Therapy to Free Yourself from Fear and Reclaim Your Life. Oakland, CA: New Harbinger Publications. This book, from two psychology professors, is another workbook for social anxiety. While a few of the others on this list focus on CBT, though, this one focuses on acceptance and commitment therapy (ACT). The first part of the book aims to help you push back against the symptoms of social anxiety, and the second part aims to help you accept your thoughts so that you can overcome your anxiety long-term. Some commenters have suggested that this book is best used in conjunction with a therapist-led ACT treatment program. Freeland, C.A., Toner, J.B., McDonnell, J. (2016). What to Do When You Feel Too Shy: A Kid’s Guide to Overcoming Social Anxiety. Washington, DC: Magination Press. This book aims to use lessons from CBT to help children around the ages of 8-12 overcome their social anxiety and social phobia. 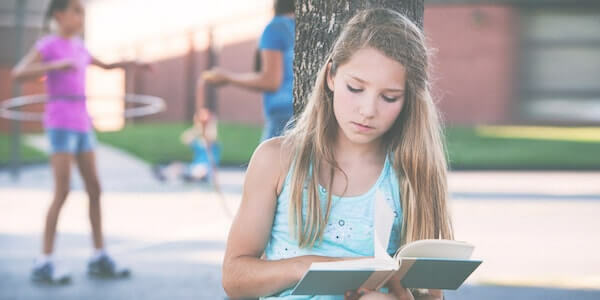 It is written by two clinical psychologists and published by the children’s book press of the American Psychological Association, so its teachings are rooted in evidence-based research. The book uses examples to describe how social anxiety may express itself, then offers step-by-step instructions for overcoming social anxiety in these situations. This is an excellent option for younger children who struggle with social anxiety. Gazipura, A. (2013). The Solution To Social Anxiety: Break Free From The Shyness That Holds You Back. The Center For Social Confidence. This book, from a clinical psychologist who has struggled with social anxiety himself, aims to provide the readers with actionable strategies to overcome their social anxiety. The book first covers what social anxiety is and what its root causes are, then goes on to describe ways to overcome social anxiety with “social confidence”. This book may not completely solve one’s social anxiety issues (particularly if they are severe), but should help anyone feel more confident and comfortable in social situations. Shannon, J. (2012). The Shyness and Social Anxiety Workbook for Teens: CBT and ACT Skills to Help You Build Social Confidence. Instant Help. Like the above book from Clark & Beck, this book aims to use CBT-based worksheets and exercises to help people overcome their social anxiety. Unlike the Clark & Beck book, though, this book is aimed specifically at teenagers who struggle with social anxiety. This makes it the perfect choice for adolescents who want to use the teachings of CBT to overcome their social anxiety. The book is also heavily illustrated throughout, so it may be helpful for more visual learners as well. Sometimes, nothing can explain a concept like a good quote can. These quotes, from a variety of celebrities, authors, and thinkers, all deal with social anxiety. Some deal with social anxiety disorder specifically while others only deal with social anxiety in the broader sense. One quote might help describe SAD to someone who does not have it while another might help motivate someone who struggles with SAD, but they are all about social anxiety. Some researchers argue that conceptual models of SAD should include (the absence of) positive emotions rather than just (the presence of) negative emotions. For example, one study examined the role of positive emotions in forming social relationships and found that positive emotions play a key role in forming relationships (Taylor et al., 2017). The authors argue that since SAD often causes people to have difficulty forming relationships, and since positive emotions can help people form relationships, cultivating positive emotions can help people with SAD form more social relationships. 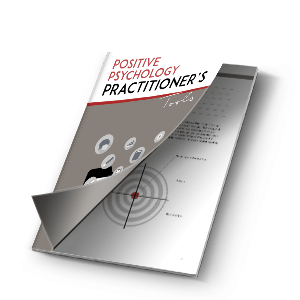 Of course, positive psychology does not simply refer to the study of positive emotions, but a focus on increasing positive emotions rather than just decreasing negative emotions is in the spirit of positive psychology. Since most cases of SAD emerge before adulthood (Stein et al., 2017), and since bullying (more so than other types of childhood trauma) correlates so highly with SAD (Norton & Abbott, 2017), it appears that schools are best positioned to deal with and prevent SAD. This means that teachers, parents, coaches, and other adults who deal with children and adolescents should be well-equipped to both prevent bullying (which can help lead to SAD) and deal with children who have already developed SAD. Of course, there are plenty of adults with SAD as well, so society at large should concern itself with SAD and its effects. At the end of the day, because of its social nature, people with SAD are constantly affected by the actions of people around them who do not suffer from SAD. In fact, mentally healthy children (and adults) can even lead people to SAD by bullying them and generally mistreating them. Teaching people about SAD, though, can help improve people’s lives, which is the ultimate goal of positive psychology. SAD is one of the most common psychological disorders in the world, and can be detrimental to people who suffer from the disorder. There are several treatment options for SAD, though, so one does not need to suffer in silence. That said, the nature of SAD means that it is a disorder at least partially caused and affected by how other people behave (or are perceived to behave), meaning that it is a societal issue. By not exposing children, adolescents, and adults to social trauma (through bullying, ostracizing, or other social punishments), society can bring down the rates of SAD. Similarly, being more sensitive to the needs of people with SAD can help improve their lives and the lives of the people around them. To wrap it all up, being more thoughtful of how we treat the people around us can bring about a better world. This article should be aptly titled “Everything That You Want to Know about Social Anxiety”. It is a well-researched and well-written piece, on this dreaded condition that people usually do not take seriously. With proper help and regular counseling sessions, most people can manage to keep this disorder under control, only if they accept the fact that it is much more than a plain case of introvert behavior.We have all seen cases where this underlying condition has led to grave consequences.